55024 is rated 1.0 out of 5 by 1. Rated 1 out of 5 by Sallyy from POOR This sounds like a bad design since you can't buy replacement parts. . .BAD BUY. What is the diameter of the pin? Is it a standard size to fit any showerhead base that has a round hole? Delta part # 55024, does this slide bar come with the slide knob? Looking at Adjustable pin mount wall bar, model 55024. Does it have adjustable upper amnd lower bar legs? Thank you for your question. 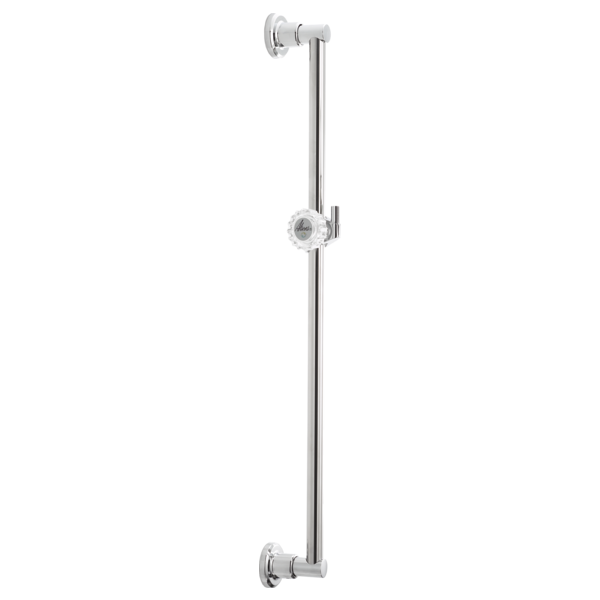 Delta Faucet model # 55024 is a 24&quot; long wall bar with a pin mount slide that adjusts up and down the bar. The bar itself cannot be adjusted.